A new Indiana law that critics believe is discriminatory is riling the state hosting the Final Four, as well as irking Seattle mayor Murray. But why punish the whole state? During a live version of the classic rock song “Sweet Home Alabama,” Lynyrd Skynyrd lead singer Ronnie Van Zant ad libs a line that reinforces the song’s theme. “There’s good people in Alabama. Let Mr. Young know that, too.” The crowd, as they say, goes wild. Van Zant wrote the song as a response to a pair of Neil Young songs, “Southern Man” and “Alabama.” Both contained pointed (and in some cases accurate) descriptions of bigotry and backward behavior that for some symbolize the American South. Van Zant wrote his song as a way to tell the Alabama side of the story. Of course, there are racist people in the south. There’s also, as he put it, good people. To paint every Southerner with too wide a brush, is to subscribe to the same behavior you claim you are against. That story has been on my mind lately after Indiana’s state Legislature passed a new “religious freedom” law. Despite the fact many states have similar laws, Indiana has become a lightning rod for both sides of the debate. Advocates say the primary intent is to protect minority religions from undue governmental interference, but admit that it also can be used as a legal shield to allow Christian business owners to choose not to participate in gay marriages (legalized in Indiana as of last year). People against the law say it will almost certainly be used in that way to deny certain people, primarily gays, the basic right of service and services by businesses. This week, with the eyes of the sports world on Indianapolis for the NCAA Final Four, there will be boycotts, protests, vitriol, and bad craziness on both sides of the debate. It promises to be a grand show and will most likely lead to further perceptions of ignorance on both sides. You want bad craziness? Charles Barkley has called for the NCAA to move the Final Four out of Indianapolis. The same Final Four he is being paid big money to promote for CBS and Capital One. The law, which came about at least partly after pressure from three socially conservative Indiana lobbying organizations, is still being debated within the Legislature, which has four weeks remaining in the session. Eventually, Indiana lawmakers might amend or repeal the law. Maybe not. That’s for the citizens of the state and their lawmakers to decide. They all got a nice kick in the backside from the Indianapolis Star newspaper, which ran a powerful front page editorial Monday morning. I’m against the law, primarily because I’m against any law that tightens the bond between government and religion and allows for the use of religion to justify treating people poorly. If we’re honest here, we’d have to admit that over the course of recorded history, humanity doesn’t have a stellar track record where religion and government get too chummy. But that’s just my opinion, not my point. What I am here to argue, like a modern-day Ronnie Van Zant, is that there are good people in Indiana. I was born, raised, and educated there. My departure in 1982 after college was fueled by a desire to find work and see other places. Much of my family still lives there and I visit once or twice a year. I’m proud to be a Hoosier, despite the fact that, in the last week, that admission could take on a whole new meaning for some people. Hyperbole, the spreading of false information and ignorance-based hysteria is the primary fuel of the internet these days. So perhaps I shouldn’t be too concerned by the rising tide of online muck. Indiana, in the opinion of many, is populated entirely by backward hillbillies, bigots and homophobes. For the record, there are plenty of all those types in Indiana. Just as there are in the south, the west, the east, the north and Seattle. It’s one thing to see that on social media. It stings, but it’s easy to dismiss, even though a percentage of people who buy into everything they see on the net, therefore are forming opinions about everyone from Indiana based on this story and the reactionary noise it has generated. But it was particularly irritating to see the reaction from Seattle Mayor Ed Murray, a man I voted for and a man I think is a good leader. His decision to ban all city-funded travel to Indiana not only is a weak case of grandstanding but in a subtle way buys into the very thing he’s trying to fight. Indiana has passed a law many in Seattle consider discriminatory, so the response from the mayor is to discriminate against the people of Indiana. If a city employee had some business with a person or company in Indiana that he or she knows to be of high character and tolerance, too bad. The employee, not quite by law but by decree, is prohibited from traveling to conduct that business. That doesn’t sound like the fair, tolerant, inclusive city that elected Murray. A city which, by the way, has one of the highest levels of hate crimes against LBGT people in the country. Idiots are everywhere. To label a group of people that way based on a border on a map is absurd. It’s worth noting that at the end, Neil Young and Ronnie Van Zant looked past their differences, found their similarities, and became friends. Young admitted that his songs had been “condescending and accusatory” and therefore felt the lyrical criticism he received in “Sweet Home Alabama” was deserved. Van Zant lived in the South so he knew some of what Young sang about was true. The two became close enough that Young gave his song, “Powderfinger,” to Van Zant and his bandmates to record, an event that never happened due to the 1977 plane crash that killed Van Zant and several other band members. Boycott, amend travel plans, do business with whom you choose. It’s a free country and your decision. As a Sonics fan I have, on occasion, walked several blocks out of the way to buy coffee without a mermaid logo. I’m familiar with the pointlessness of this “protest,” but it makes me feel better. I do not, however, think that everyone who works at Starbucks was responsible for the departure of the Sonics. I don’t look at all of them as soulless sell-outs. So do what you will. But please keep in mind that the majority of people in Indiana are of good faith and upbringing. They are kind, hospitable, tolerant people. They are welcoming to visitors. 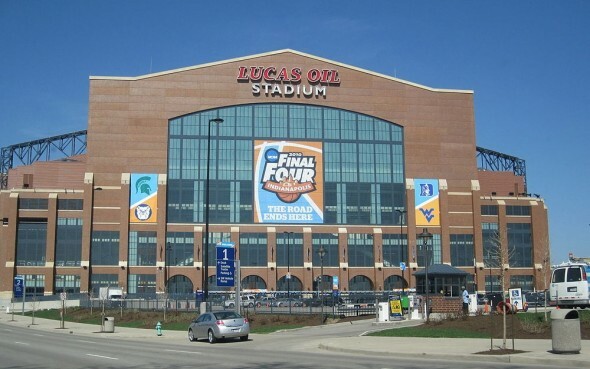 They regularly host major events successfully: The Final Four, the Indianapolis 500, Big 10 football and basketball championships, Circle City Classic football game, Super Bowl, as well as numerous non-sports related conventions. The majority of people in Indiana are worth being judged as individuals, not as some perceived group. Art, until the good people of Indiana stand up against this law, they are complicit. Evil exists when good people do nothing. An earlier error ran this story under Art’s byline, while it is actually Mike Gastineau. That pair of sentences, agentmick, is the antidote to this story. What a load of drivel by Gastineau. If the majority of people in Indiana would not support this law, then how come their elected representatives creating said law…..? That’s hardly an isolated scenario, Schaefdawg. Did you ever see a poll that showed the majority of Americans supported Obamacare before it was signed into law? And it cuts both ways. Look at how many times voters approved a monorail system in Seattle, only to have the pols ignore them every time. Now you’ve got a nice hole under downtown so developers can get better views and drivers can be stuck underground during an earthquake. How many people wanted THAT? The point being this happens a lot more often than one would think, but people only get pissed off when their representatives either vote for what they don’t want or vote against what they do want…we’re pretty selective with our moral outrage and this is no exception. it’s the american legislative exchange council, alec, that you should be bashing. this wingnut org funded by the koch brothers diligently writes nasty legislation to battle its culture wars. but mike not buying starbux to protest the sonics sell-out is no different than seattle government avoiding indiana business to protest discrimination against gay people. All in all this is not an indictment of the citizens of your fine state as much as it is an exposure of the power of misguided politics. I think they will right the ship pretty quickly here and hope that other states leaderships are paying attention. I went to college in Indiana and know not all the good people support this. But I’m delighted enough other good people are bringing pressure to bear and forcing new dialogue. Will they solve the problem right away? Perhaps not, but the attention it’s garnering is helping drive critical social debate. As for state/city boycotts, yeah, that’s just grandstanding by politicians. Mike–I appreciate where you are coming from (I think), but perhaps it is way, way to early to leap to the defense of the “good people” of Indiana. Let’s see how this plays out over the next month or so. The employee is NOT prohibited from traveling to Indiana to conduct his/her own PERSONAL business. The employee is prohibited from using TAX PAYER DOLLARS to travel there on SEATTLE CITY BUSINESS. What he/she does with his/her own money is purely up to him/her. I have no doubt that you are correct in saying that there are many good people in Indiana. The mayor is not trying to discriminate against any Indiana resident. He is trying to drive home the point that discriminatory laws are not OK. His way of accomplishing this is to get the attention of Indiana’s state government using the language that any government understands best: the bottom line. When people don’t make hotel reservations, eat in local restaurants or use local taxi cabs or shop in local gift shops, that adversely affects the bottom lines of those businesses. That will get their attention and they will let their government know that they are not amused. city thrives because we have welcomed and embraced diversity,’ he said. ‘RFRA threatens what thousands of people have spent decades building. Agentmick, what if I went to a bakery that was owned by a gay person and wanted him to make me a cake for a church function that said “Jesus is Lord” and he refused.Is that discrimination then? It is simply a one way street for the gay agenda and anyone who dare not agree with it will be crushed. Is that fair? Can you describe for me, in detail, what the gay agenda is? Use both sides of the paper if necessary. “I hope Neil Young will remember, Southern Man don’t need him around, anyhow”. That was Van Zandt’s “rebuttal” to Young in Sweet Home Alabama. Not much of a rebuttal, if you ask me. In fact it was the quintessential southern response to criticisms of its past–if you don’t like it, leave. But, like it or not, the south is part of this country, and all parts of this country had much to be ashamed of in its southern past when Young wrote that song. Were there good people in the South during the times of slavery? Of course. But the presence of those people didn’t justify toning down criticism of the institution of slavery. The carefully planned and disguised discrimination inherent in the Indiana bill needs to be condemned as roundly as possible, in as many ways as possible. It needs to be called out for what it is. Whether or not good people live in Indiana. Great well thought out article Mike. I couldn’t agree more. I am also against the law but am generally agitated when the current gets sensationalized. Is there a reason why Mayor Murray and governor Inslee are only putting in place this “ban” when 19 other states have laws that are substantively the same as this one in Indiana? If you are going to ban travel to states that have discriminatory laws, fine. I don’t agree with that tactic because of many of the reasons cited by Mike but am willing to accept it if that law was consistently applied. However, I am not OK with selective application of policy. If you are going to ban travel to Indiana, 19 other states should immediately be on the docket for travel ban. If they are not, you are absolutely grandstanding for nothing more than sensationalizing a current issue than actual substantive worry about discrimination. I like the new Indiana law, as the loud left has demonized religion and their “conservative” ways, and thus forced the hand of religious institutions that have a strong religious belief in doing what they do. I also, however, don’t think you can discriminate against good, law-abiding citizens. I like what the Indiana governor is doing, the new law, and also like that he’s going to amend the law to make sure it doesn’t discriminate against any demographic. The really troubling thing here is how such tiny groups of fanatical zealots wield such unreasonable power to make the exact decisions that they would shame others for making. Its sheer insanity. Seattle has already punished Indiana enough. It sent Mark Emmert to Indianapolis to head up the NCAA. When will this cruel abuse ever stop?